Ecotourism in Ecuador will help you achieve a highly rewarding experience in the lap of halcyon nature. 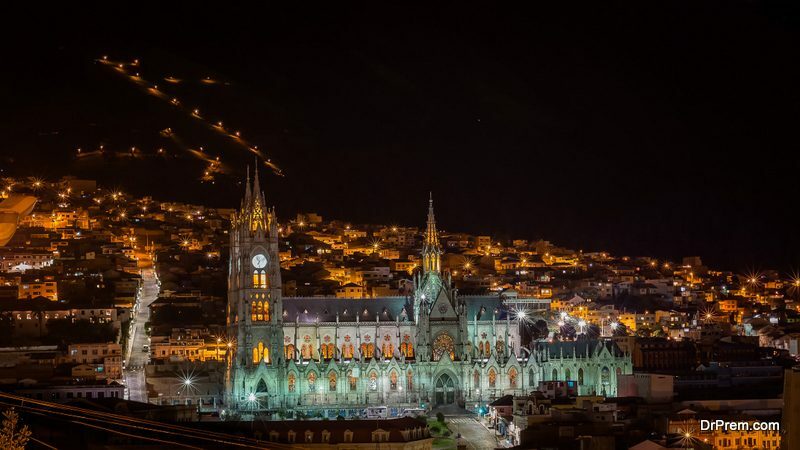 It is not surprising that Ecuador had righteously been accredited with the honor of being World’s leading Green Destination and that too in a row for two years. The land’s biodiversity is amazing drawing a huge tourist appeal. Among other contenders Norway, Costa Rica and Peru were prominent members whom Ecuador had beaten in this prestigious race. Picturesque combination of national parks and heritage sites had turned this Latin American country into a coveted tourists’ dream. However tempting the destinations seem to be, it is not recommended to travel alone. Reliable eco-travel guides and agencies abound in this region. 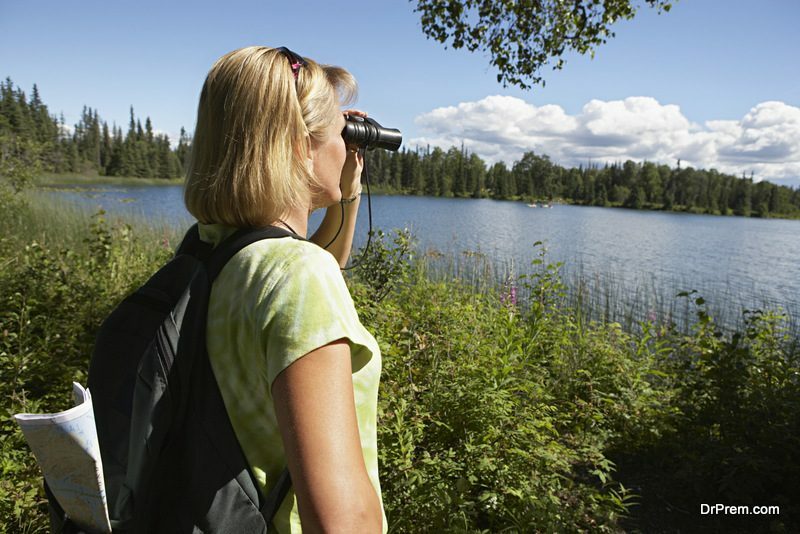 Take a knowledgeable guide who would help you explore the most exciting ecotourism activities. In a commendable effort by the government and the visionary Yachana Lodge and Center for Geotourism Training, the institute dedicated to rainforest conservation, the country has been extensively promoting eco-tourism by educating local communities. The government has promoted values and awareness through a proper educational platform to sustain treasures of Ecuadorian flora and fauna. A truly viable route to the uplifting necessity of ecotourism is thus designed. Most interestingly, the government whole-heartedly invites tourists to participate in the ongoing eco-tourism projects, which makes travel more exciting and interesting. It is mention-worthy that tourists visiting this place are well versed with eco-tourism features and principles and display responsibility through their activities. Drive out of Misahualli in the direction of Tena, this splendid waterfall pops up hardly you have covered 8 kilometers. Just at your entry point to Las Latas stands a signage board announcing the name. It is here where pristine nature blends into one mind-blowing spot where oxygen is fresh and abundant. One kilometer trek from the signage lands you to the cascade. On the way, you find hovering butterflies and twittering birds and a spot of color here and there. Bush and blooming flowers are ubiquitous. A dip in the cascade is an everlasting experience. You can certainly manage a self drawn itinerary and it comes highly economical. Green travel opportunities come at galore in Las Latas cascades. Banos de Agua Santa is a small town located right on the magnificent Andes chain. Ecotourism in Ecuador justifies the inclusion of Banos in the rank for its healing thermal baths. You get to see the famed Tungurahua volcano over here along with a cornucopia of Green Travel opportunities. Over 60 waterfalls dot the region and the trek along the rugged terrain is set for an intrepid venture. Rivers are a spectacular feature amid unspoiled greenery. Hiking, trekking and climbing together with exploring the Llanganates National Park promises an adrenaline race. 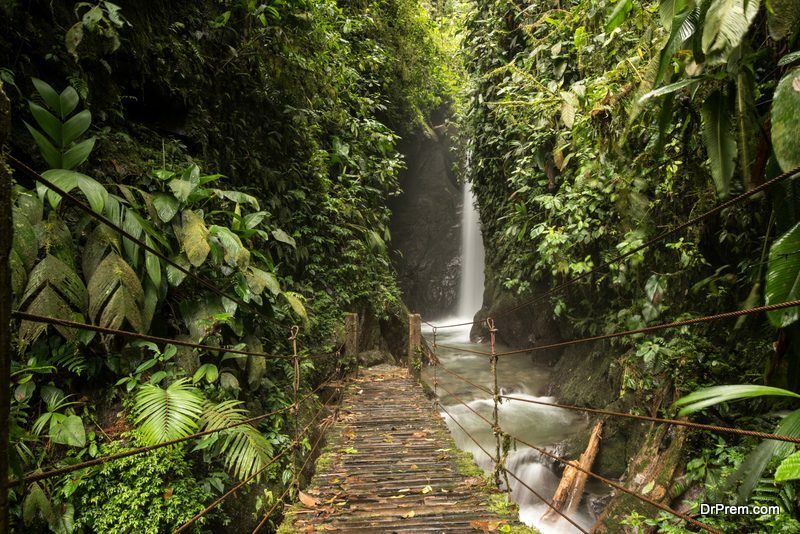 Beautiful Mindo locally known as Mindo Lindo is one of the top eco-destinations in the world. It covers two most biologically divergent regions of the world. Perched on the tropical Andes and set in the Chocoan pastures, it is only a two-hour cab ride from Quito, the capital. This is an avian sanctuary with a myriad floral spread. Both the youngsters and the aged would like the place for its placid ambience. An overnight stay in jungle lodges would be awesome. Ecuadorian Amazon is no less dense and wild compared to its Brazilian counterpart. 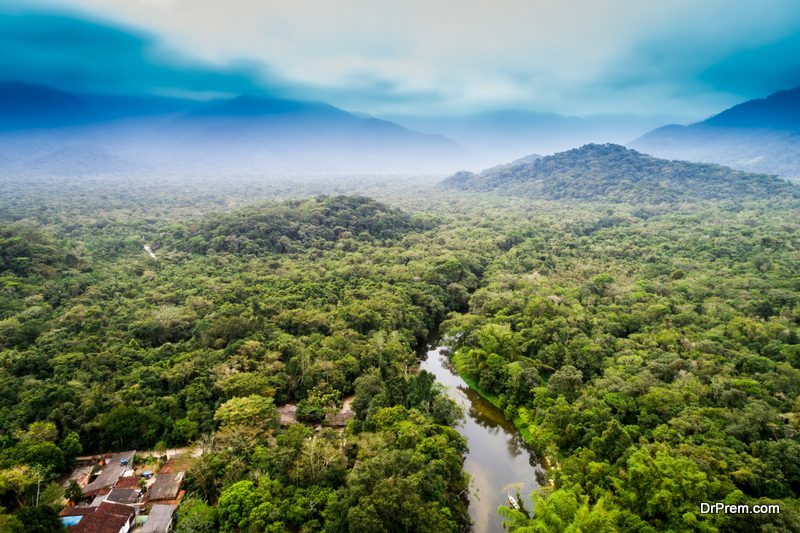 Ecotourism in Ecuador is half done without relishing the virgin charm of Amazon here. 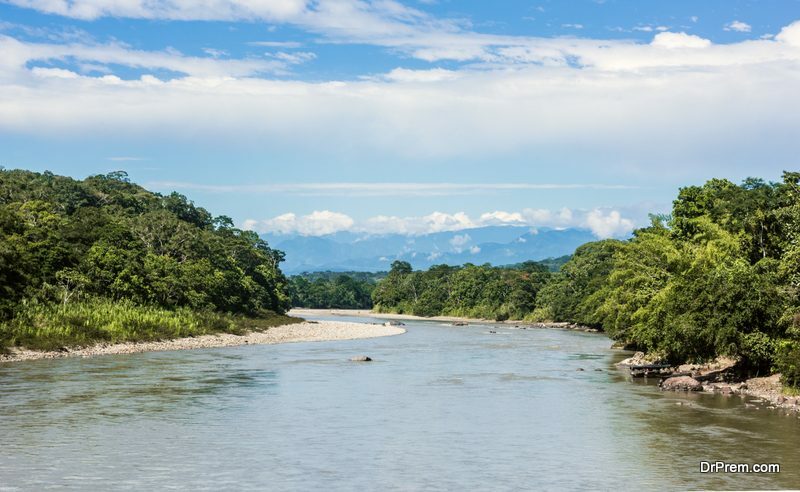 Set within the green belt is the Yasuni National Park, home to 382 recorded species of fishes and 300 mammals. Three species of Piranhas make the rivers a dangerous place to swim. Among mammals, Jaguars and Pumas prowl depths of the jungle for a kill. Several species of monkeys and bats lead an arboreal life searching for nuts, fruits and honey. Besides several species of reptiles, amphibians and an ocean of insects set up a background hum in the forest. If the day out in jungle has given you waves of thrill, wait till nightfall! Ecuadorian Amazon at night is an eerie enigma. While exploring dark wilderness, you ride on the helm of adventure. Hot springs and highland prairies are a special feature of this amazing park. Ecotourism in Ecuador keeps this park at high ranking tourist visit list. It has great bird watching and fishing opportunities. Culturally, the park features architectural remains from the pre Inca period. Sun and Moon temples in Puntial merit special mention owing to design excellence and religion motifs. 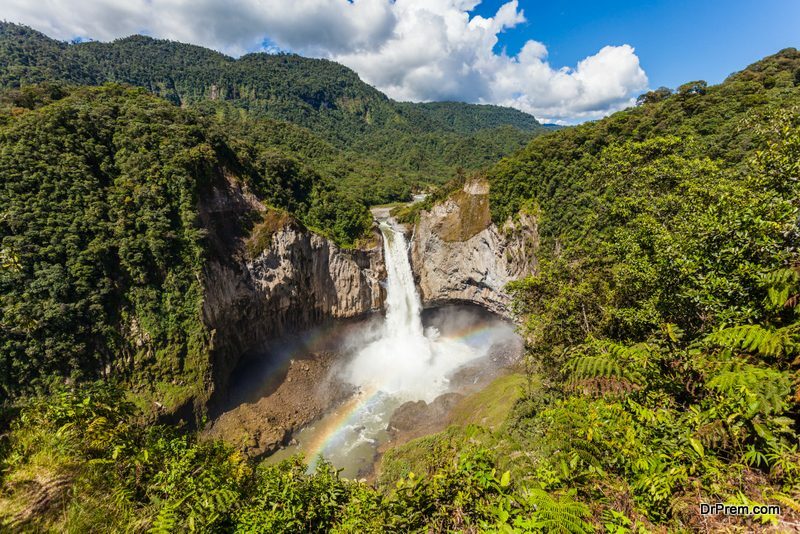 The park houses the tallest waterfalls in Ecuador, 430 feet in altitude. 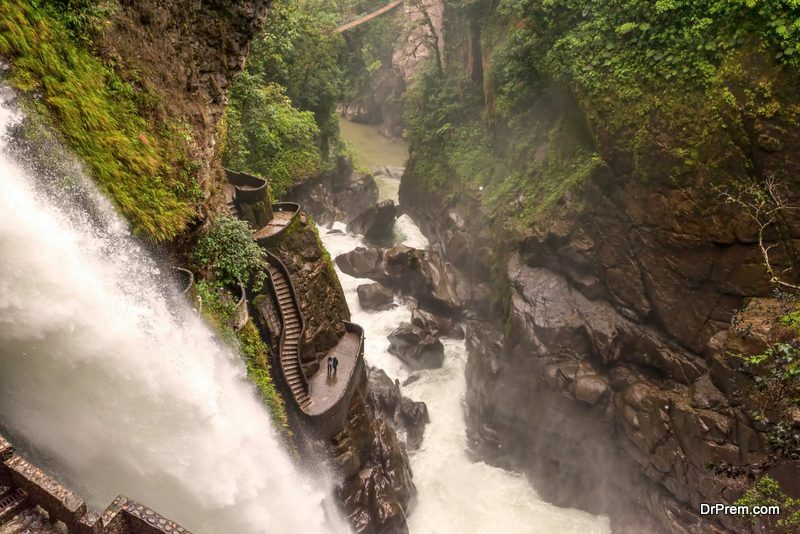 San Rafael waterfall is the truest representative of Ecuadorian nature at its best. It symbolizes a wonderful mix of might and splendor. 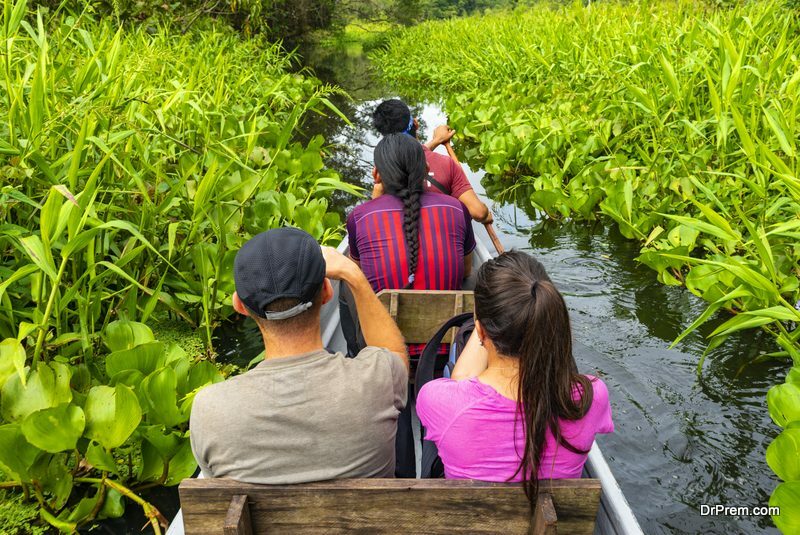 Ecotourism in Ecuador puts a lot of emphasis on visiting San Rafael. It is at a distance of 25 kilometers from the city of Tena and placed between borders of Napo and Sucumbíos province. A sheer drop of 150 meters sourced from the descent of Cocoa River makes San Rafael awe-inspiring. This 16th-century city is the living reminiscence of the ancient Inca civilization. Presently, the Capital city of Ecuador, Quito is snuggled at the height of 9350 feet in the Andean Mountain range. Ecotourism in Ecuador is significant for a visit to Quito for several reasons. Most important among them is its being declared first UNESCO world heritage site in 1970. The reason is, it is the best preserved site where ancient edifices have not undergone renovation or structural alteration. The Pacific coast of Ecuador offers ample green travel opportunities. White-water rafting on rivers and rapids and whale watching make it an exciting tourist haunt. 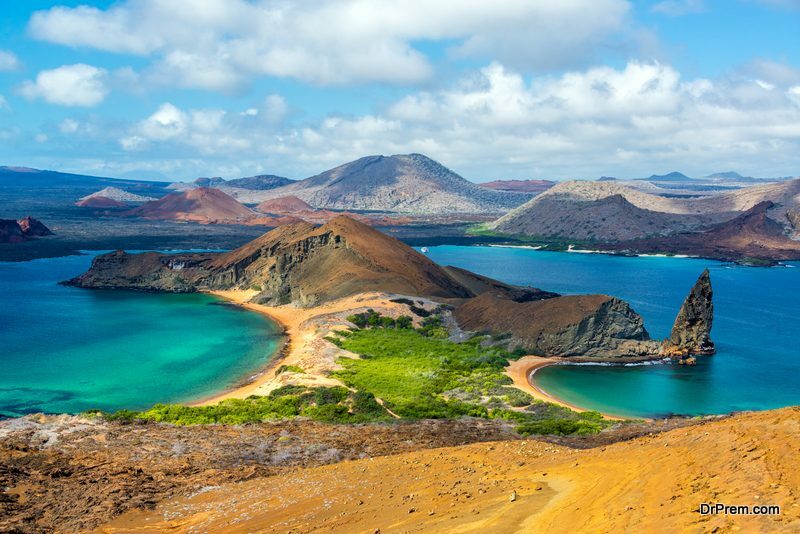 Ecuadorian government keeps a tight vigil on the Galápagos Islands to ensure protection against habitat damage. Rate animals found nowhere in the world is found in Galápagos. Marine Iguana, mammoth turtles and Galápagos penguins will fascinate you. 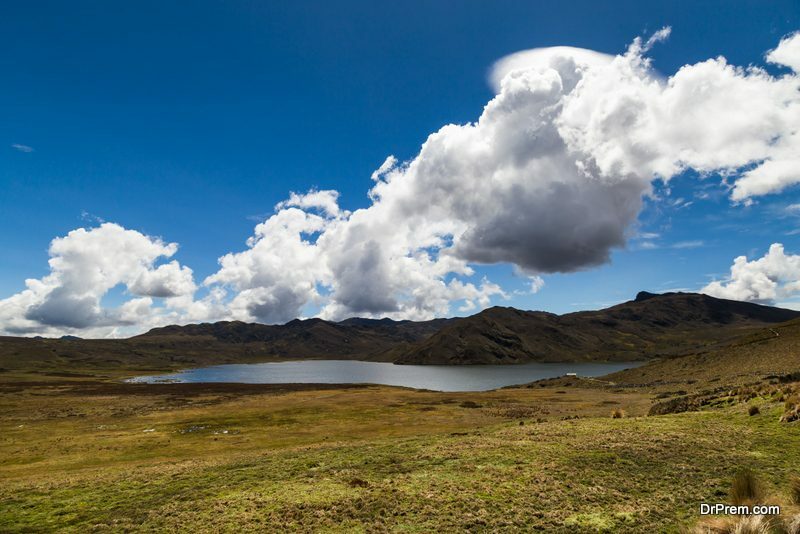 Ecotourism in Ecuador is not really complete without mentioning Yacuri national park.More than 46 splendid high altitude lakes exist to turn this park into nature’s wonder.Important places are Laguna Negra located deep down inside the heart of an extinct volcano. The park also boasts of sheltering ancient archaeological remains including cemeteries, petroglyphs and marketplaces.